Five years ago there were six people at the end-of-the year banquet; this past year there were 62! The gathering included current students and their family members, alumni with their families, even families of the staff members. But it’s not all about the fun times. “Our promise to be there for each other means most when times are tough,” says Manely. “Last year was a rough year. We had three students whose parents went through life-threatening situations. My mom was diagnosed with cancer, and Erin’s (Laudermilk, an assistant professor) grandfather passed away. We didn’t hide these from each other. We shared our struggles. Every professor and trainer in our program has an open-door policy. When we say we’ll pray for a student, we do it.” The students agree. “All our professors are easy to talk to,” says sophomore Dani Burk. “They work together as a team and they like each other. That makes us want to be around them. We hang out in the training room, even when we’re not working.” Jason Coles is an ’09 alumnus who earned his graduate degree at Ohio University and then returned to SC as an assistant athletic trainer. “I came back because of the family atmosphere,” he says. “We’ve made conscious efforts to hold onto that even as we’ve grown. It’s a special thing to be a part of the ATEP program.” The camaraderie is clearly working, and Manely has a theory about that. “I believe that the main reason we’ve been able to create and hold onto a family atmosphere is because our common purpose is to serve. We are one of those rare programs in which students get to serve in their field while they are on campus. We serve our athletes, and we extend family support to them. We pray with them and over them. When they go through surgeries, we go with them to the hospital. We care about the success of the teams we serve. I think that creates a special bond among us. “We want to ‘Walk the walk.’ That’s our theme this year. We’ve been looking at verses that use the word ‘walk’ and seeing how they apply to what we do. We’ve been talking about how to use athletic training on a mission trip. Jason Coles wants to lead a team. We always want to be growing.” That growth is producing athletic trainers who are fully prepared for a future in their field. Justin Martens is a 2010 grad who is now at Southeastern Louisiana University as a graduate assistant. He recently said, “I feel absolutely prepared for my grad work. Actually, the biggest shock to me has been to find that the level of professionalism that was expected at SC was so great. It’s not that it isn’t present in my grad program, but you would expect it to be higher at a big university, as if it wouldn’t be as strong at Sterling because of the size of the college and the family atmosphere of the ATEP program. That, however, is absolutely not true. I’ve discovered that the professionalism expected of us and the high standards we had for each other were top notch. “I think that’s because we saw each other as members of a family. 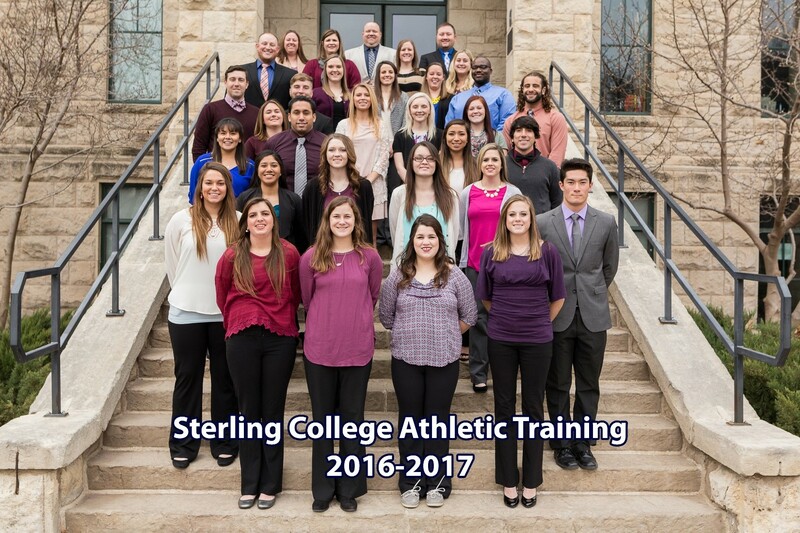 We were expected to assist each other and give the highest possible level of care because we all, trainers and athletes, belonged to the same family.” Far more than the awards won and degrees earned, it is this servant attitude that will enable Sterling College’s ATEP graduates to “walk the walk” in athletic programs all across the country.